Bridget is our longest serving member of staff, having joined the firm in July 1976. She started as an office junior but her skills and enthusiasm were quickly rewarded and she moved into other areas of the business, gaining experience in debt collection, litigation and conveyancing. It was during her time in the conveyancing department that she became interested in Wills and Probate and so when the opportunity arose, Bridget made the move in to the department. 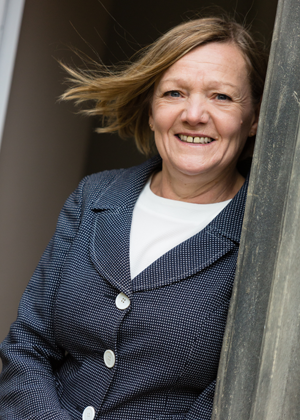 Fast forward to today and Bridget has built up a large private client caseload made up of Wills, Probate, Powers of Attorney and Court of Protection matters. Bridget is very well known for her vast experience, diligence, warmth and attention to detail. She is a hugely respected practitioner locally in Skipton and beyond. Over her many years of practising, Bridget has developed meaningful relationships with local businesses such as IFAs, nursing homes and estate agents. She comes highly recommended by both local professionals and families in the community with most of her work coming from ‘word of mouth’. Bridget takes a very keen interest in helping local charities and has regularly taken part in the firm’s FREE Wills days which raises money for charity. She also works to support both the Alzheimer’s and Parkinsons Society. Bridget is a supporter of the Dying Matters campaign which exists to help and encourage people to talk about matters relating to end of life and more recently she took part in the very successful ‘Dying Matters’ event organised by Airedale Hospital. Knowing you’ve made a real difference by providing the right professional help and advice to enable a client to make an informed choice. Bridget displayed a wonderful blend of professionalism, awesome knowledge, warmth, friendliness and humour. She took so much weight off my shoulders. I could not have asked for a nicer more helpful person. She made everything simple and even removed a problem that I didn’t think would be something she would have knowledge of. A couple of other times in the past when I have had dealings with Solicitors I haven’t felt they were totally on my side. Bridget was 100% on my side.